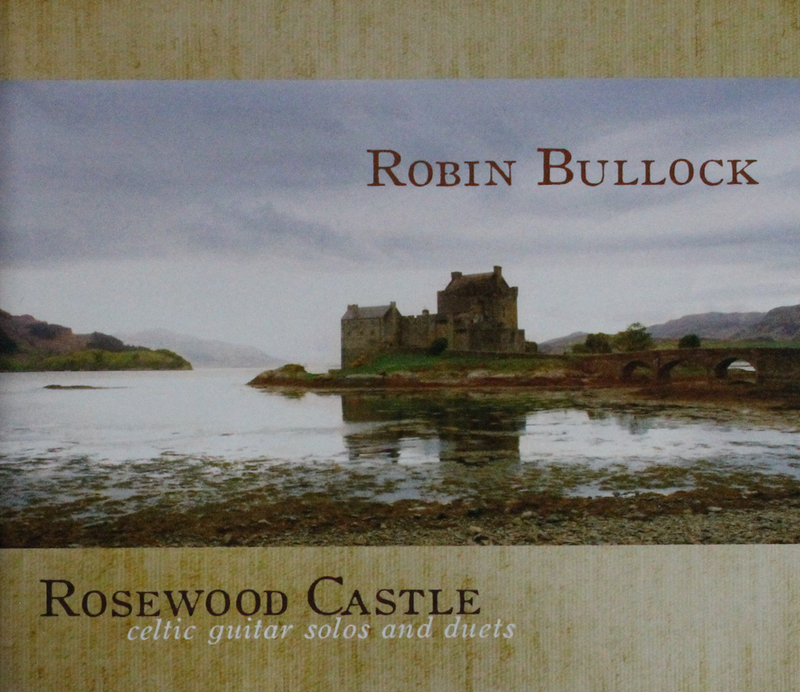 Robin explores the rich musical traditions of Ireland and Scotland (with side trips to Brittany, Asturias and Baroque-era France), masterfully interpreting timeless airs, dances and harp tunes on solo and duo guitar. Featuring exquisite duets with five of the world’s leading acoustic guitarists – Windham Hill pioneer and Grammy nominee Alex de Grassi (track 3), Grammy winner Al Petteway (track 5), Irish powerhouse and original Solas member John Doyle (track 6), Scottish guitar legend Tony McManus (track 10) and Robin’s longtime duo partner Steve Baughman (track 12) – Rosewood Castle is a true milestone in the art of Celtic guitar. Although the original title of this air is “Buachaill ón Éirne” (“The Boy from Ireland” in Irish Gaelic), it has become better-known in recent years as the melody to Canadian poet Gordon Smith’s lyric “Come by the Hills.” This version was inspired by Maine folksinger Gordon Bok’s vocal rendition on his 1975 album Bay of Fundy. The day after Alex’s 2006 appearance at le Festival International de Guitare “Les Automnales” in Ballainvilliers, France, I spirited him away into the studio and we jammed on this classic Irish song, creating our own slightly impressionistic version. I’m playing lead on the first and third verses, Alex on the second and fourth. Irish music’s hardest-driving rhythm guitarist joins me for a set of three reels. I start off with an original named in honor of my cat Thisbe, John takes over with a standard of the Irish session repertoire, and we take it home with another standard, the title of which provides a nice thematic link with the first tune! A composition for harpsichord by the French Baroque composer François Couperin (1668-1733), who was fond of giving his pieces somewhat bizarre titles. This one translates as “The Mysterious Barricades” or “The Mysterious Boundaries,” and nobody seems to know exactly why (although a number of intriguing theories have been proposed…). In any event, while this piece is often played quickly, I feel that the beauty of the harmonic progression is better served by this more leisurely, meditative tempo. Thanks to the great classical guitarist John Williams for the inspiration. A composition of Nathaniel Gow (1764-1831), son of renowned Scottish fiddler and composer Niel Gow and a prolific composer and music publisher in his own right. Coilsfield House was the home of Colonel Hugh Montgomerie (1739-1819), the Earl of Eglinton, an enthusiastic patron of Scottish music and dance. This set starts with “Ar Minor,” a traditional song from Brittany, the Celtic region of western France. I learned it from les Frères Morvan, three Breton brothers who sing the old songs of their homeland unaccompanied in a beautifully raw style (thanks for the CD, Judith). Tony and I imitate the call-and-response of traditional Breton singing at the beginning of the track. We follow with two melodies from Asturias, the Celtic region of northwestern Spain, learned from the incredible Asturian band Llan de Cubel: the love song “Coyi d’un artu una flor” (“From the bramble bush I picked a flower”) and the dance tune “La molinera” (“The millerwoman”). Down by the salley gardens my love and I did meet, She passed the salley gardens with little snow-white feet. She bid me take love easy, as the leaves grow on the tree; But I was young and foolish, with her would not agree. In a field by the river my love and I did stand, And on my leaning shoulder she laid her snow-white hand. She bid me take life easy, as the grass grows on the weirs; But I was young and foolish, and now am full of tears. And I wish I was in Belfast town and my true love along with me, And money in my pockets to keep us in good company, Liquor to be plenty, a flowing glass on every side, Hard fortune would ne’er daunt me, for I am young and the world is wide. This ancient Scottish air served as the inspiration for the hymn sung by the character Rebecca in Sir Walter Scott’s novel Ivanhoe. Fiddler Bonnie Rideout tracked down the tune in A Collection of the Gems of Modern Gaelic Song edited by Malcolm C. MacLeod (Glasgow, 1913) and I picked it up from her.